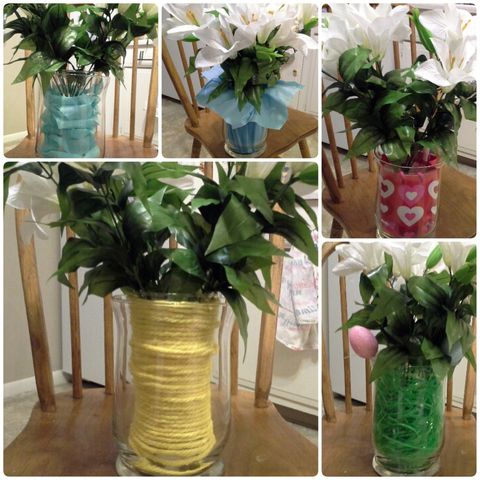 dress up your old tired vases. 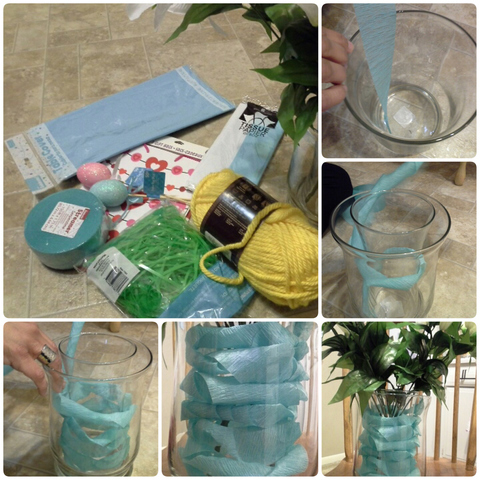 These are ideas that recquire 2 vases. 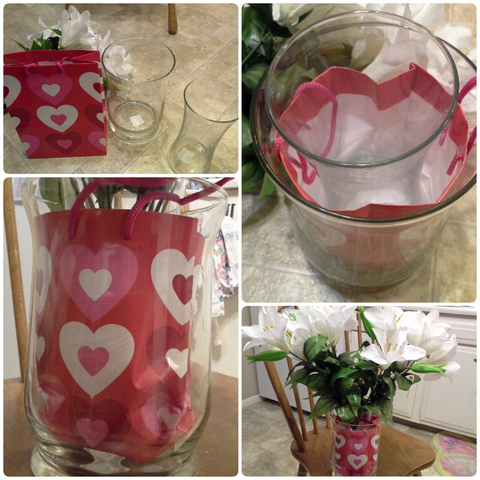 flowers in the smaller vase without messing up with the decor items. to keep in place. Streamer comes in at $1.00 or less at that. cloths. Also comes in various colors and sometimes designs. 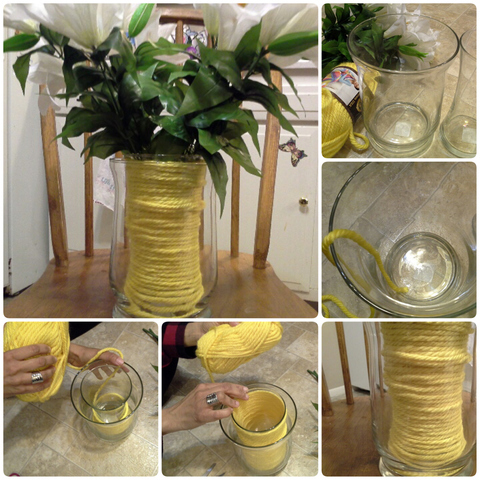 into the larger vase with the smaller vase and trim off the excess. this. Ha! 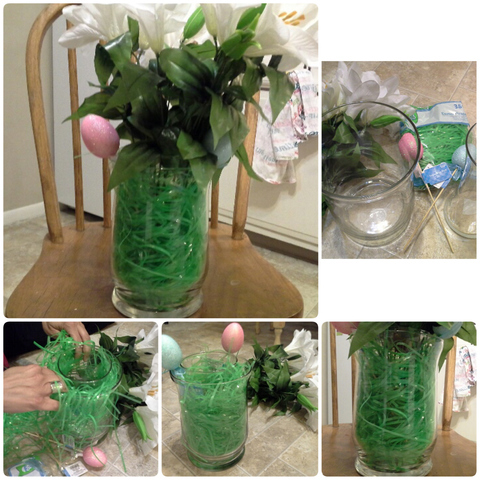 Place inside the large vase then place small vase inside! markets, means you can get them for as low as $1.00. in between the two vases. 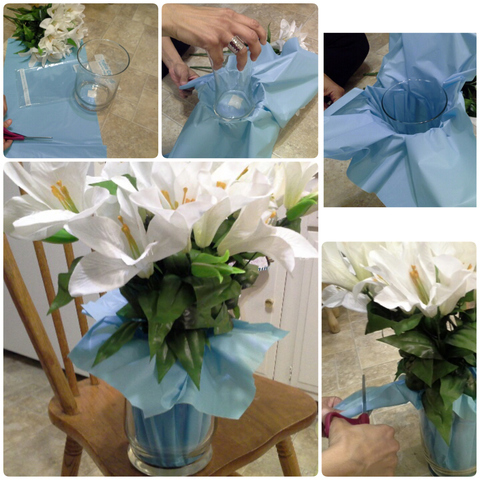 give more dimension and visual interest. 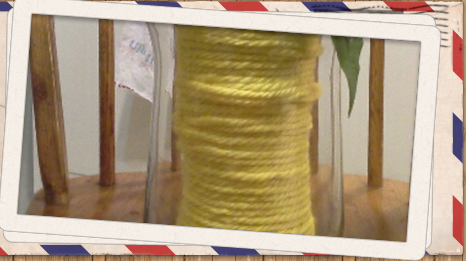 for those bouquets you'll be showing off. Keep it easy and cheap! Added March 27, 2016 Happy Easter!